The Advantages of Using Derma Roller to Get Rid of Scars - Which Size is Right for Me? For many, the passage of time brings with it the inevitability of scars, wrinkles, and stretch marks – but it is possible to fight back! These skin imperfections are caused by a lack of collagen and elastin. 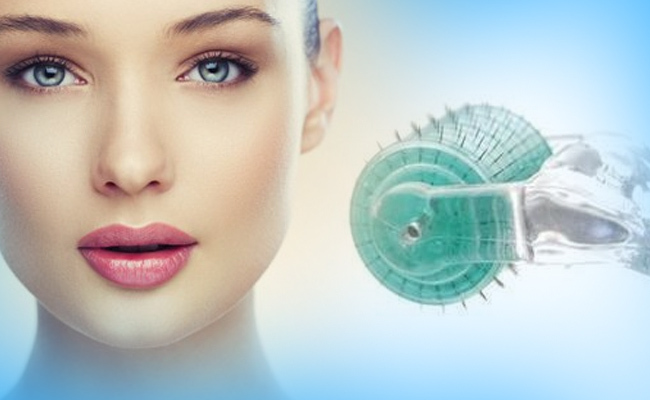 Derma rollers help to stimulate production of these essential proteins by using micro needles to puncture the skin. The body responds by activating its own natural healing process, which can reduce or eliminate scars, wrinkles, and stretch marks. Derma rollers come in a variety of needle lengths, depending on your skin condition and the effects you wish to achieve. Read on to learn more about derma rollers, their use, and how to make the most of this exciting new treatment option! What is a Derma Roller and How Do They Work? A derma roller is a handheld skincare tool that triggers collagen and elastin production in the skin using micro needles from 0.5 to 2.0 mm in length. With proper usage, the roller’s micro needles make tiny punctures and cue the immune system to release these structural proteins that heal and strengthen skin. Derma rolling may also allow for greater penetration and efficacy when utilized in conjunction with skincare products. 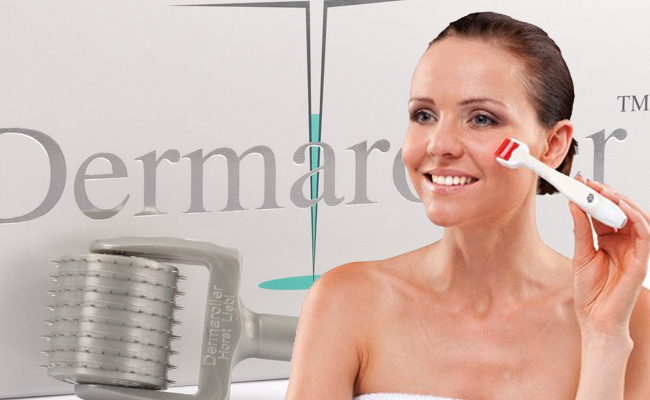 What are the Benefits of Using a Derma Roller? Derma rollers can be effective in treating a wide array of skin imperfections caused by aging, injury, or weight changes. Use of a derma roller, also known as “micro-needling,” helps heal and reduce the appearance of scars, fine lines, stretch marks, acne, and burns. Not only does it help to fill in “pitted” areas caused by acne, stretch marks, and other scars, it also restores the skin’s natural pigment and helps it to blend in with the surrounding skin. Overall, micro-needling contributes to a more youthful and vibrant appearance. What Needle Length Should I Use? 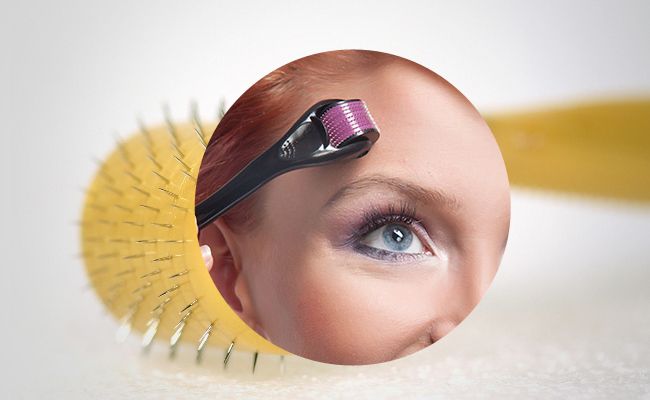 The length of needles recommended depends on the area of the body for which you wish to use the derma roller. In order to penetrate deeply enough to prompt collagen production, the minimum length of needles should be 0.5 mm. This length works well for delicate facial skin and will help to improve skin tone, fine lines, blemishes, and skin product penetration. For even more effective targeting of fine lines, try the Professional DNS Derma 3 Line Roller & Micro Needling Therapy System. Longer needles can be used to treat the rest of the body, as well as more severe skin problems. One to 1.5 mm needle lengths are appropriate on deeper fine lines or wrinkles, sun damage, loose skin, and deep, discolored scarring, stretch marks, and cellulite. To help erase the deepest, darkest stretch marks and scars, try the Professional Stretch Marks and Scars Treatment Set. If you are new to micro-needling, it may be advisable to begin with 0.5 mm to find out how your skin reacts to the procedure. Home use of needles longer than 2.0 mm is considered unsafe and should only be performed by a licensed practitioner. The unit should be cleaned before and after every use with hot water and alcohol, as should the table or other surface on which you will be using it. The skin being treated should be cleaned with an antiseptic, such as alcohol or antibacterial soap. For additional protection, wear disposable gloves while micro-needling. Treatment or numbing cream can be applied before or after rolling. Do not use products that have harsh chemicals or fragrances, as they will likely cause severe skin irritation. Try our Professional Fine Line & Wrinkle Treatment Set for proven reduction of fine lines and wrinkles! Roll each treatment area no more than four times (back and forth counts as twice) in each direction – vertically, horizontally, and diagonally. After washing the roller with hot water and spraying with alcohol, allow to air-dry for at least 10 minutes before putting it back into the case. Take care not to let the needles touch any surface once they have been disinfected. Protect the treated area for several days afterward by keeping it moisturized and shielded from the sun. With regards to frequency, areas being treated with shorter needles may tolerate more frequent use, while longer needles require longer recovery times. According to some sources, facial micro-needling with 0.5 mm needles can be repeated up to five times a week, while treatments with longer needles may need to be several weeks apart. Take cues from your skin’s reaction to determine what frequency works best for you. Discomfort is unusual with shorter (0.5 mm) needles, but may occur with longer ones. A topical anesthetic may be used to counteract this. Bleeding should not occur when the proper amount of pressure is applied. Swelling is a normal side effect and should subside after a few days. Applying cool water to the area can provide some relief. Flaking or peeling is also normal. Do not pick at peeling skin, as this can derail the healing process. The length of time before noticing results depends on the type of skin condition, the degree of damage that needs to heal, and other individual health factors. You may notice immediate results, such as smoother skin, smaller pores, and reduced fine lines. However, many of these immediate effects can be attributed to the temporary inflammation caused by the rolling process. The collagen production process typically takes longer, and more pronounced and lasting results may occur only after several months. Although counteracting the effects of aging and the environment on your skin can be challenging, the derma roller is a powerful tool that can help rewind the clock. Visit our DermRoller page today and view your options to kick-start collagen and elastin production and revamp your beauty routine!